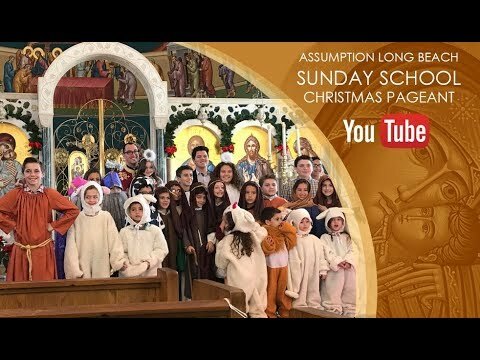 On December 17, 2017, Sunday School presented their Christmas pageant, an annual tradition. We invite your children to participate in Sunday School each Sunday during the regular school year. All families are strongly encouraged to participate. Come learn, grow, and worship with us. The Sunday School year starts in September and ends in June each year. The mission of the Assumption Religious Education program is to mold the lives of our students in the Orthodox Christian way of life by proclaiming the teaching of Holy Scripture and Holy Tradition and to develop each student spiritually to live a Christ-centered life, to worship and serve the Lord and His Holy Orthodox Church. Through our religious education program we hope our children will not only make new, long lasting friendships, have fun but they will fundamentally build a moral compass that will guide them in later years to what is right and what is true.